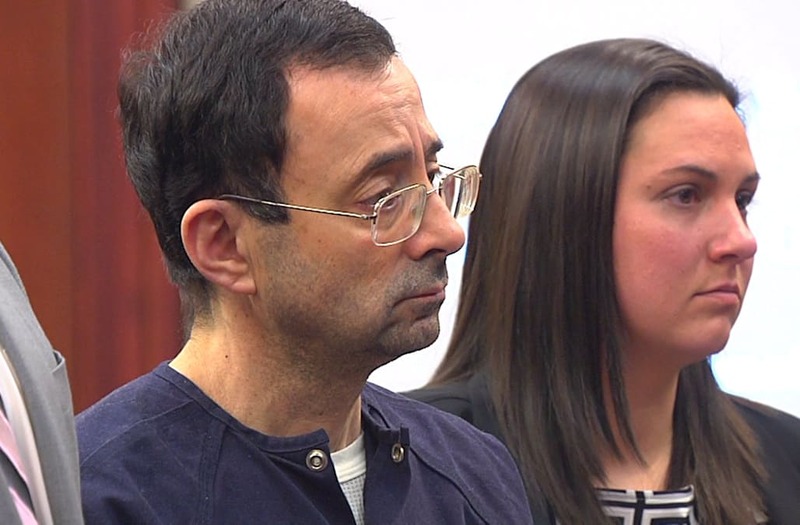 GRAND RAPIDS, Mich. (WXMI) -- Michigan State University is working to throw out the civil cases filed against them by the more than 100 survivors of Dr. Larry Nassar. Attorney Ven Johnson, a representative for a number of survivors, told FOX 17 that lawyers with MSU were in federal court in Grand Rapids on Wednesday, working to dismiss the civil cases filed against them by the survivors at the same time Larry Nassar was being sentenced to 40 to 175 years in prison in Ingham County. Johnson said despite issuing statements of support for the survivors of Nassar, MSU is still not taking responsibility for its role in allowing him to continue to practice. The university has filed motions to dismiss the civil cases filed by those same survivors, saying many claims of sexual assault at the hands of Nassar are past the statute of limitations. Johnson says MSU's effort to find a loophole in these filings shows the university is not taking responsibility for its failure to properly investigate these assault claims that go back decades. Michigan State University is working to throw out the civil cases filed against them by the more than 100 survivors of Dr. Larry Nassar. "They’re victimizing the victims all over again by trying to say they’re not responsible for this," Johnson said. "In a situation like this where I believe that MSU was engaged in a cover-up, I would argue that the statute of limitations was never expired." Johnson said the defendants have 28 days to file an amended complaint against MUS and USA Gymnastics, compiling all the allegations. The university will then have the chance to argue against that motion. FOX 17 reached out to the university for comment but did not hear back.